Lexi, a Blue-Ribbon, Generational Olde, comes to us from Eve of the Dogge. 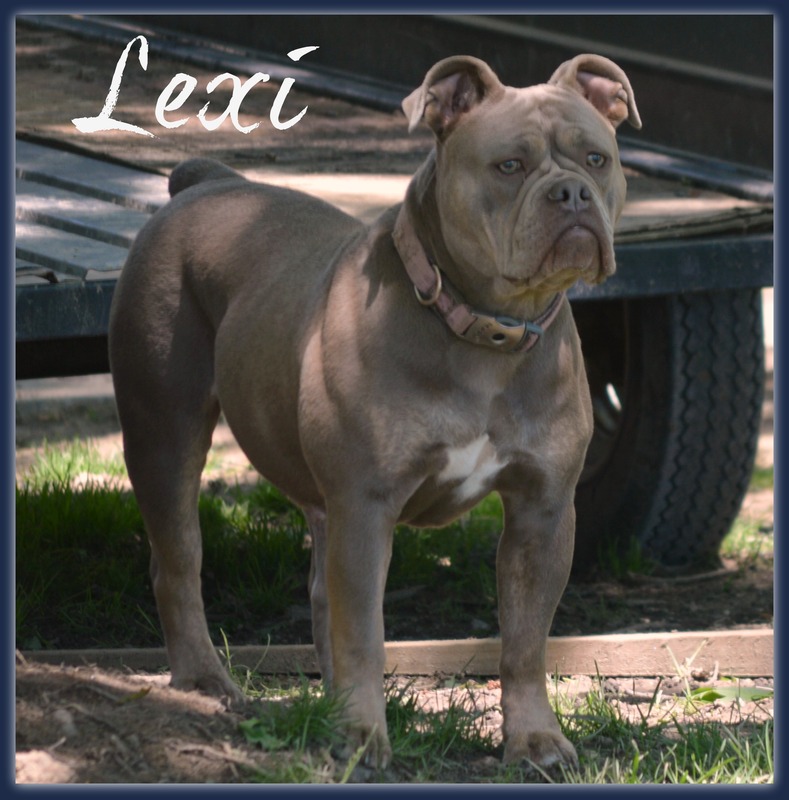 Lexi loves to run and play with all of the other dogs. She displays great athleticism with her speed and jumping ability. Lexi is an all around fun loving, curious girl. Based on her great structure and conformation, we are very pleased her litter from early 2017 – one of our best litters and a wonderful momma. As a result, we will be breeding her again summer 2017!